Next Article FITNESS Planning to get fit this autumn? Going to my first Toastmaster meeting I had no idea what to expect. New in town, I wasn’t sure I would even know anyone. Having been welcomed by a smiling lady at a desk, I was directed to a seat in a hotel function room, buzzing with chat. A moment later a gavel sounded and the meeting began. And yet each person took care to use their own words in describing their job, drawing a friendly laugh or two in the process: The most striking thing about the Westport club is the members’ rich sense of humour and fun. Besides active Toastmasters Clubs in Ballina and Westport, you can develop your oratory at the regular Open Mic events throughout the county – while the Mayo Open Coffee Club offers a platform for local entrepreneurs and innovators of all kinds to tell their story. Most recently, Ignite the West debuted in Westport, with future events coming to Galway (Friday, September 10, 8pm, at the city’s newest community space, 091 Labs – beside the Radisson Blu Hotel) and Sligo. (The ‘Ignite’ phenomenon, which has caught fire worldwide, offers each speaker five minutes and 20 projected slides to deliver their message). And researchers at Texas Christian University in the US have good news for those trembling at the prospect: Nine-tenths of your nerves are imperceptible, so no matter how bad you feel, your audience don’t know it. In fact, stage fright presents its own opportunity. Precisely because so many people fear speaking before strangers, just being able to deliver speeches is a great way to stand out when going for a new job or marketing your business. Mayo speakers are well regarded: the Westport Toastmasters Club in particular has been doing very well of late, with members winning through local heats to compete at the national and international level. Mary Davis stresses that the club is open to all walks of life. “We try to have fun while learning from each other and encouraging improvement,” she explains. Time was when this writer quaked at the thought of putting two words together in front of an audience. Now, not only do I speak regularly, I look out for upcoming opportunities. The difference, of course, is regular practice. To bend the well-known mantra: Feel the fear and speak up anyway! 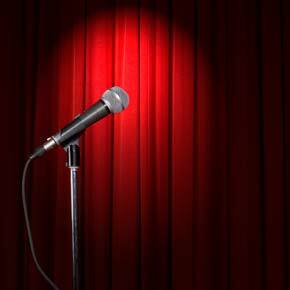 Westport Toastmasters’ next meeting in the 2010-2011 season takes place in Hotel Westport at 8pm on September 20. The club will meet every second Monday night thereafter. Guests are always welcome, free of charge. See www.westport-toastmasters.com. The Ballina Club gathers on the second and fourth Thursday of each month at the Newman Institute. Its first meeting will be this Thursday, September 9. Jacqui Murray at 087 7411472 has details. Browse the website at www.ignitethewest.com to watch past performances and apply for the next event. Quirky or inspiring stories are of particular interest. The Mayo Open Coffee Club meets every first Wednesday of the month in a Castlebar venue. Everybody (particularly entrepreneurs and innovators) is welcome. There is an invited speaker – but anyone present can address the group. See www.mayo-open-coffee-club.org for details. Venues range from Castlebar’s Linenhall to the Creel Cafe on Westport Quay. Get in touch with Writers’ Groups to receive announcements by text or Email: for contacts see Mayo Libraries website at bit.ly/micmayo.